LEN - www.lankaenews.com | True story behind Mahinda and Namal Sept.12 th Indian tour..! 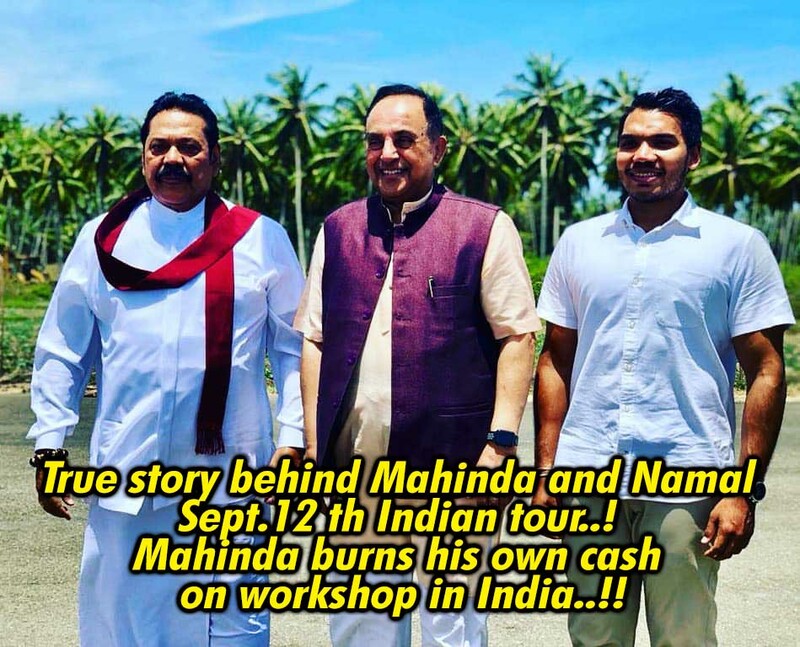 Mahinda burns his own cash on workshop in India..!! (Lanka e News - 12.Sep.2018, 6.45PM) Indians are well noted for fattening on others’ deaths and despair. They will eat, drink and rejoice even right in the midst of ‘three deaths ’ . It is a well known fact that there exists an endless conflict over India’s territorial borders with Pakistan and China. In order to continue its business monopoly it also has conflicts with Nepal and Bhutan. There is also the issue of Bangla Deshis jumping over the fence . Catching them is like catching frogs .